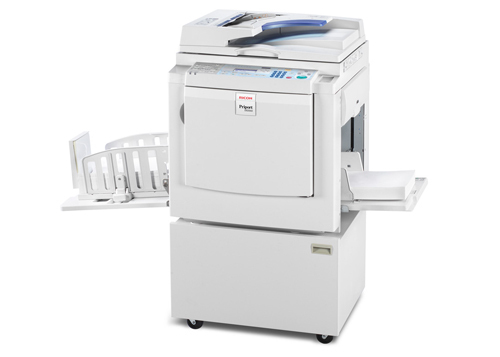 Advanced Office is proud to offer educational institutions, non-profit organizations, and commercial businesses across Southern California Ricoh's complete line of award-winning digital duplicators, which includes the industry's first duplexing digital duplicator. 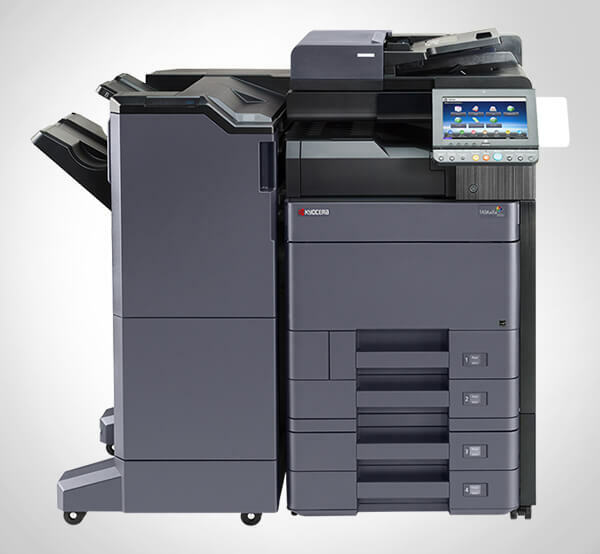 Over the past 30 years, we've supplied businesses and organizations in San Diego, the Inland Empire, Orange County, and Los Angeles with these very cost-efficient, highly durable, and fast printing machines. Clients come to us when they want to invest in a copier or printer because we offer high-quality products at competitive rates, with dependable, personalized service. 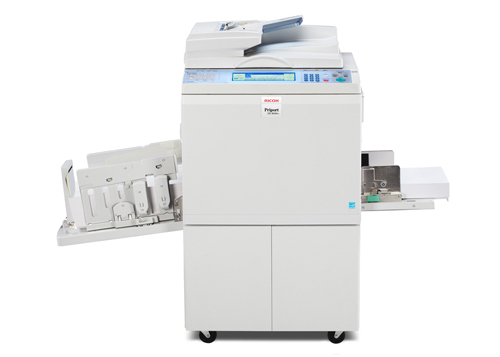 Ricoh's digital duplicators are popular amongst our customers that routinely need large quantities of single documents, flyers and forms printed or copied quickly and affordably. Digital duplicators are essentially black and white copiers that take advantage of a special process in which prints are created using a stencil and ink from a spinning drum. This allows digital duplicators to offer an extremely low cost per page, and a printing speed of up to 135 pages per minute. Call today to set up an onsite analysis with one of our Ricoh-trained product specialists. We can recommend the best digital duplicator for your needs based upon our professional workflow analysis; review buying and leasing options; and discuss the benefits of our service and supply maintenance contracts. 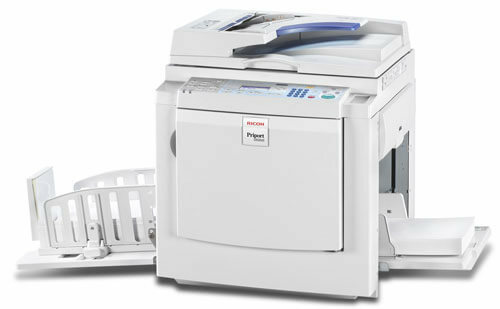 I would like to take the time to let you know how much I appreciate the effort that you and your team made in the transition from our Canon copiers to our new Ricoh copiers."